Today’s smartphones make a broad variety of sensors (gyroscope, magnetometer, camera, accelerometer, GPS, etc.) readily available and easily accessible through different APIs, favouring the acquisition of data. An everyday usage is the measurement of physical parameters, like sound or acceleration. The advances in terms of level of integration and its application to embedded devices power consumption and wide adoption of system on chips and more recently multiprocessors system on chip mean that a new sort of applications can be addressed. Applications are backed with powerful computing devices depending on batteries. Using these resource-limited devices and their parallel power efficiently is a challenging task. To fully exploit the potential of these hardware devices, parallelism has to be carefully applied to the most resource demanding parts of the application. 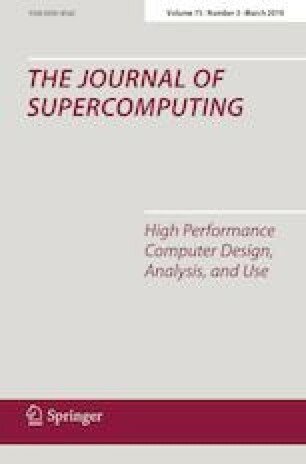 This paper proposes an efficient image composition method to analyze fruit surfaces using CCD cameras and smartphones. The image composition is done by capturing video from which redundant frames are disposed using a data-parallel local feature detector. Relevant frames are then stitched using direct methods. The proposal was tested in the case of calculating the damaged surface of cherries.